Akara is a popular Nigerian food made from beans. The beans is peeled, washed, blended, mixed with a few spices and deep fried. Akara can also be called Bean Cakes\Bean Balls and in some parts of Brazil and other parts of West Africa it is called Acarajé. I know, I know...Akara does not need any introduction, but I have come to the realisation that Nigerians are not the only ones who check out my recipes, hence, the description. Peel beans by washing in water then placing in a blender, add 2 cups of water and pulse for about 5 minutes. All of the skin should easily come off. Wash and drain till you get rid of most of the skin. Place peeled beans back in the blender, add 1 cup of water and blend till smooth. Pour in a bowl, then add chopped pepper, chopped onion, ground crayfish, salt. Combine properly. Heat oil in a deep pan for 3 minutes on medium heat. Scoop little portions of the bean batter​ into the hot oil. Make sure the pan is not crowded. Allow Akara for fry for 5 minutes on each side, then flip over when it is golden brown. Take the akara balls ​out of the oil and allow to drain before serving. Welcome back! My daughter is in Lagos visiting Nigeria for the first time!! Sisi, this Akara is giving me life! Wish I could have some with pap for breakfast in the morning. Don't make me go and wash beans now abeg. 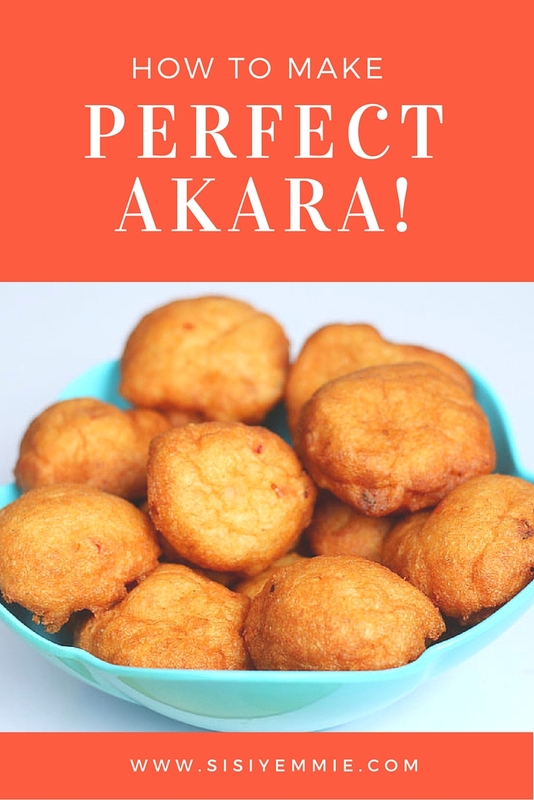 Wawuu, I've never made akara because of the beans peeling but this looks super easy ! Nice! I think this option is better. No peeling of bean back.